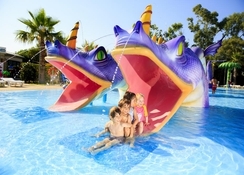 The perfect choice for a fun-filled family holiday, Club Mac Alcudia Jupiter Marte Saturno is located in the sun-kissed resort of Alcudia, Majorca. This 3-star all-inclusive family resort is built over beautifully landscaped 100,000 square metres and provides accommodation in three buildings: Jupiter, Marte and Saturno. 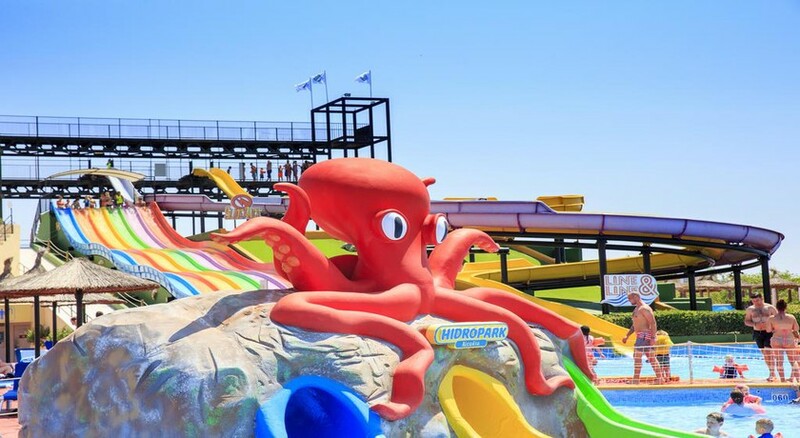 Alcudia holidays are all about lazing on the sands and making a splash in the year-round-sun and if you get bored of Club Mac Alcudia's eight swimming pools, you can always hop over to the beach, 900 m from the hotel, or head to Alcudia's waterpark next to the resort! 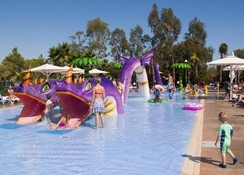 Featuring 1,024 spacious rooms and family suites, a variety of amazing restaurants and bars, eight pools to choose from, sports facilities and entertainment for all ages including mini discos, kids' pools, a cinema and pool parties - Club Mac is among the top choices for hotels in Alcudia, Majorca. Just a 10-minute-walk from the beautiful Alcudia beach, Club Mac is located on the north coast of Majorca in the balmy Balearic Islands, and is built around two natural lakes that form part of the S’Albufera wetlands. The hotel is only 40 minutes away from the Palma airport and around one kilometre from the Alcudia harbour. 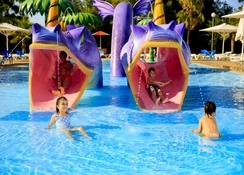 Marineland and Pirates Adventure Majorca are around 45 to 50 minutes away if you fancy a day of adventure with the kids. The popular resort features 1,024 rooms that are divided across different buildings. Each of the rooms are fully equipped with modern furnishings, en-suite bathrooms, air conditioning, satellite TV, telephones and have daily housekeeping. If you're on a couple’s holiday, there are rooms with balconies that offer lake, mountain or pool views. While the standard and premium rooms can accommodate up to 3 or 4 adults, the family suites are ideal for larger families and offer a separate bedroom for kids. Guests in premium rooms and family suites have access to high-speed Wi-Fi. Amenities are available on request include hair dryer, washing machine and safe. 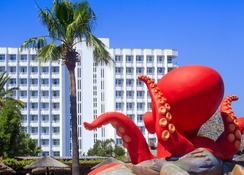 Hotel Club Mac Alcudia all-inclusive covers board, food and drinks and access to most facilities at the hotel. It has three restaurants offering all-you-can-eat breakfasts and buffet-style themed dinners. Jupiter and Marte restaurants and the Lake Burger Bar are good options for lunch - plus there are vegetarian options and a kids’ corner available. There are four outdoor bars by the pools and entertainment areas and two indoor bars open from 10 am to midnight. The VIP bar by the CIRCUS stage and the Moon bar in the relaxation area offer branded spirits. There are also 24-hour coffee corners in all lounges. The two natural lakes around which the hotel is built offer watersports activities. There are eight pools inside the complex that include quiet pools for toddlers and splash pools for the tiny tots. If that's not enough, Club Mac guests get free entrance to nearby Hidropark Alcudia Water Park and there is a free shuttle bus service to Alcudia beach throughout the day. Club Mac has an outdoor kids club with its own playground and sports facilities including mini golf, tennis, a running track, archery, rifle shooting, volleyball, football and much more. 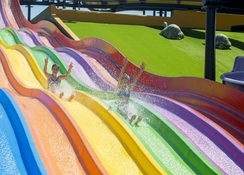 Kids and teen activities include superhero days, princess for a day events, water games, pool parties, themed parties, PlayStation competitions, beach excursions and discos. Entertainment options range from evening shows on the main circus stage or the smaller Saturno stage, an on-site cinema that screens a film every evening with titles suitable for the younger ones, a wellness area by the main lake where adults can sunbathe or enjoy a massage, and market stalls to take home souvenirs. A free shuttle bus is available to take you to the beach throughout the day. 1) There was an outbreak of foot & mouth at the Club Mac over 10 days ago. Since then, the hotel has consulted with Preverisk and carried out a stringent cleaning and disinfection exercise. • The Cleaning & Disinfection Plan for kitchens, restaurants, bars, & annex areas. • The Cleaning & Disinfection Plan for pool areas. • Staff handling practices in stockrooms, kitchens, bars & annex areas. • HACCP: Food handling stages. • HACCP: Documentation and Management System. • Control of viral outbreaks. internal illness reporting system in place which they update on a daily basis. being carried out throughout the complex. • All public areas are being cleaned and disinfected more frequently. • The beach bus is being cleaned and disinfected. • All machines around the complex are being cleaned and disinfected. • Special cleaning trolleys are fully stocked and in use. • All hotel staff and kids club staff are fully trained and completely aware of what procedures they must follow. • Management are also monitoring staff sickness to avoid the spread of any virus. • They are logging all of their disinfection processes for all of departments. with HFM symptoms do visit the doctor, without worrying about any cost. the hotel’s strict POSI procedures. Hotel was clean and there was lots to do for younger kids, staff were friendly.